Here it is- the next round of the Colour Blast art journal project! This is a monthly or so collaborative round robin that I work on with six other artists. Each of us has a colour and we each take turns creating art in each others colour journal. This round I had yellow. Yellow makes me think of my favorite flower, the daffodil. 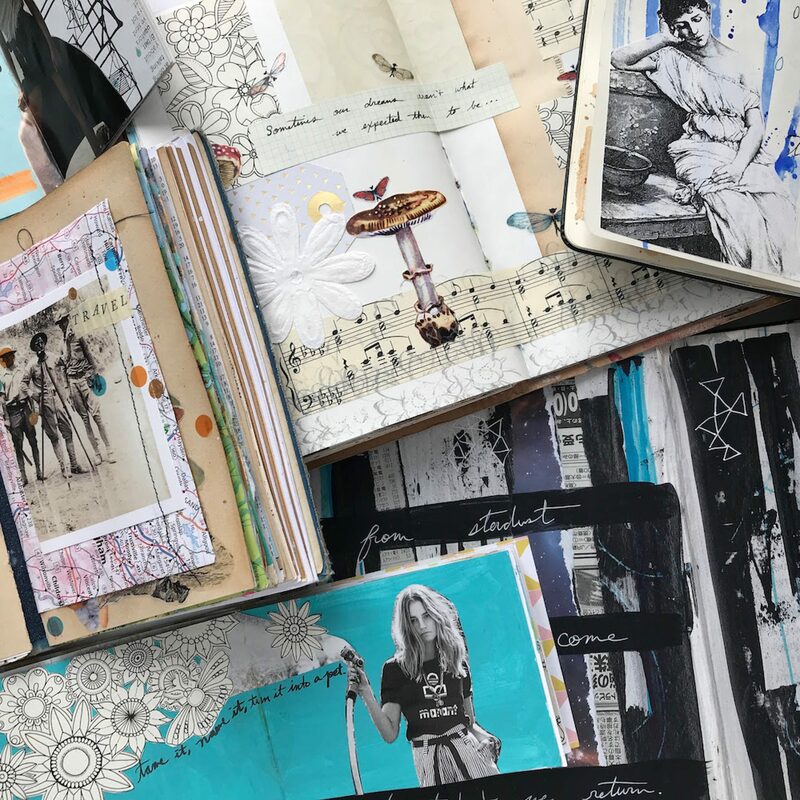 It was spring time in London when I made these pages so a lot of inspiration came from the thousands of daffodils that line the streets of the City in March.